There comes a point in every night out when you convince yourself that the only way to crank the fun level up is by yelling 'SHOTS!' to any of your mates who'll listen. Nine times out of ten this leads to you ordering a round of the potent drink, much to the secret joy of your gang. The aftermath is never pretty nor is the photo and video evidence of your grimacing face which is strictly prohibited to the confines of your Snapchat story, only for you to ashamedly delete it hours later. But shots just got an Instagram-worthy makeover - although we can't promise this means your shot face will be safe for Insta viewing - as pink tequila is here. 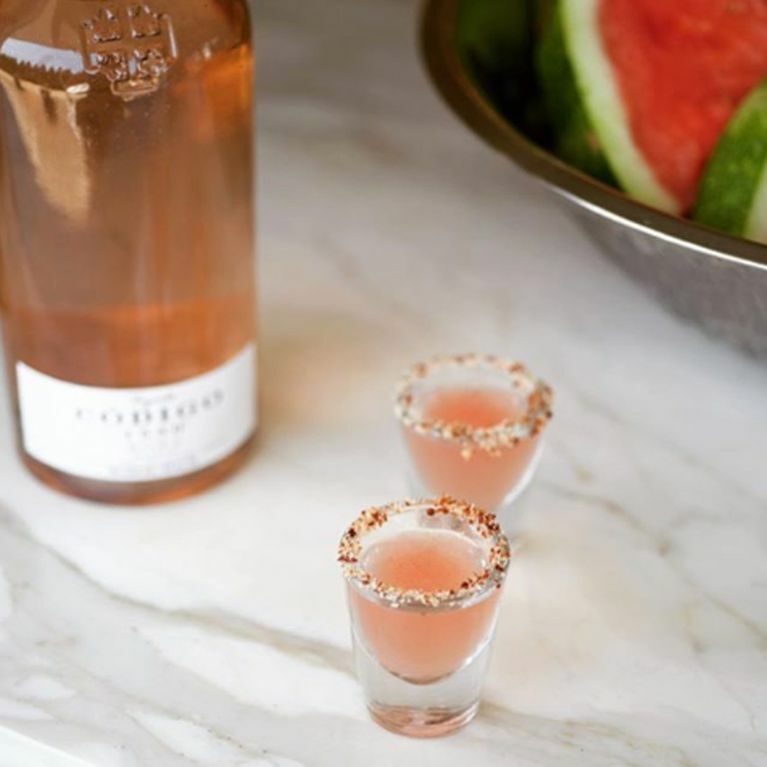 The colour so typically associated with all things female has proved so popular among us millennials, one alcohol brand has launched a specially themed tequila. Allow me to introduce you to Codigo 1530 Rosa Tequila i.e. the prettiest spirit of them all. It actually launched in America last year but makers of the hard stuff and their families have been enjoying this modified millennial recipe for years, Refinery29 notes. But the bad news is, this millennial drink is currently only available in America - in only 18 of the 50 states, too - and at $60 (£46) a bottle it's not exactly cheap.